I am constantly rewarded with new information and inspiration in my work as Benjamin Franklin. This month I became aware of a new book about Franklin’s time in London (a book review will follow soon). 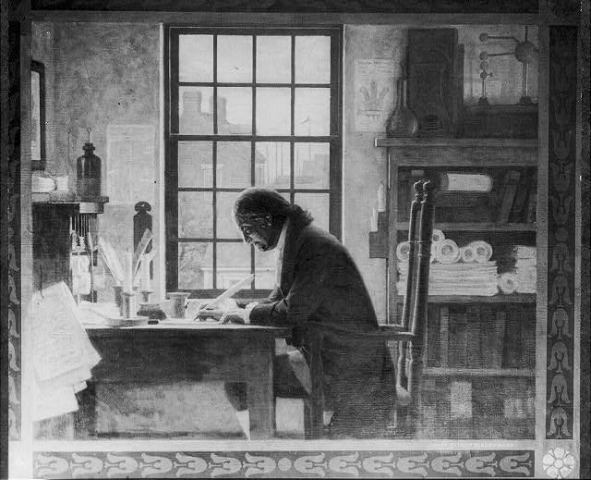 Contrary to what some might believe, studying and portraying a historical figure is never a static pursuit, and with no one is that more true than with Franklin. The breadth of his work and his accomplishments means that one will never run out of new material in a lifetime. It is my constant challenge to delve into the mind of Franklin, and I hope that my work reflects that search in an ongoing way. When you want Benjamin Franklin’s life and times brought to life, I hope that you will call upon me.